College Essay Organizer founder and president Daniel Stern was recently quoted by independent consultant and journalist Nancy Griesemer for this article in the examiner.com discussing the increase in frequency of the option to submit a graded paper: "Graded papers allow applicants to showcase their writing and reasoning skills on their own terms—the SAT and ACT essays are a bit of a joke and aren’t taken that seriously by colleges because of how they are scored." As colleges explore ways to make the application process more holistic and predictive of future academic success, more schools are adding test-optional policies which require students to submit a graded paper in lieu of test scores. Though over 20 Common App schools accept writing samples, there is rarely a mention of this included on the supplement. 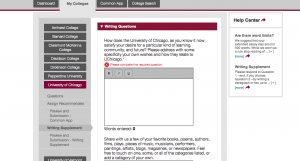 Make sure to thoroughly check each school's website or use College Essay Organizer to instantly see all the essay requirements for your list of colleges regardless of whether requirements are found on the Common App or on outside websites. Don't worry too much about the grade. 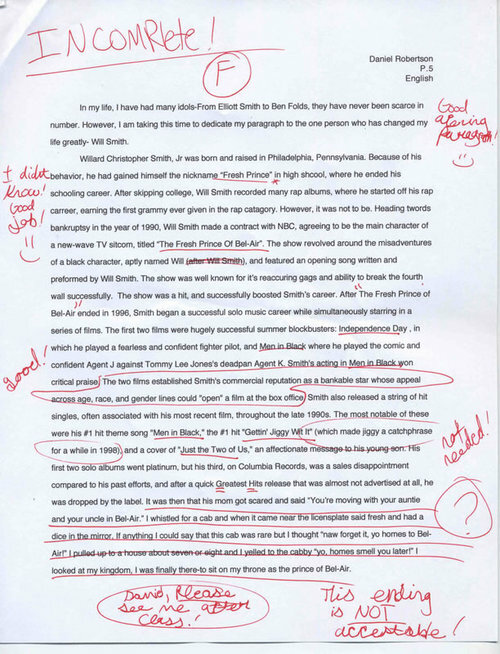 A lower grade on a high-quality paper can show that the school sets a high standard for its students, while a high grade on a poorly written paper will not only represent you poorly, but your school as well. Make sure to hold on to graded copies so that you have a wide range of samples to choose from when the time is right. Larry Dannenberg, one of the nation's leading experts on financial aid who has spoken on NPR and Fox TV, will help families understand the forms, the formulas, and the loans. You'll be surprised to learn how colleges will look at you and how you can optimize your chances of getting financial aid. Click here to register for FREE now! What's on Your Twitter and Facebook Pages? Many early deadlines have now passed, and admissions officers are diving into the arduous process of closely examining each applicant's file. It's around this time that we send out a similar caveat each year: Google yourself. A Kaplan Test Prep study reported that 31% of college admissions counselors are visiting students' social media pages, and what is found there could hurt your application. According to Glenn Dillard, assistant vice-president of enrollment at Harding University, social media searches are used to see if a student's lifestyle embodies a school's mission: "Harding is at our core, a Christian University. We're wanting students who will uphold that Christian standard that we've set forth for our students." Other larger universities such as the University of Arkansas at Little Rock just don't have sufficient time to make online searches a part of their decision-making process. Wherever you're applying, we suggest that you play it safe, and remove anything that you might feel doesn't place you in the most flattering light. To read more, check out this article. Posted in College Admissions Tips, News | Comments Off on What's on Your Twitter and Facebook Pages? Last year, when you were logged into your Common App account and viewing a college's supplement, you knew that you were seeing all of the questions available through the Common App. While there still might be additional departmental and scholarship questions found on a school's website, you knew that your supplement was not hiding anything from you. 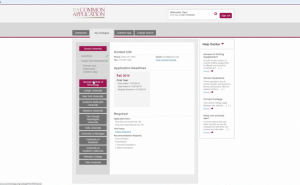 This year, the Common App has become infamous for its hidden questions which can only be viewed by selecting a particular combination of interests. College Essay Organizer has proven to be invaluable in this respect, ensuring that additional essays are not discovered during the final pre-deadline moments. In addition to hidden questions, be on the alert for hidden tips regarding the length of an essay. Most schools either include a word limit or guideline in the question itself and/or provide a text box which allows a maximum number of words. The majority of students would not think to look further than that. However, if you examine the right side of the page when on a writing supplement, you will notice the title "Help Center." In most cases, this will simply lead to a page where you can search for answers to common questions. 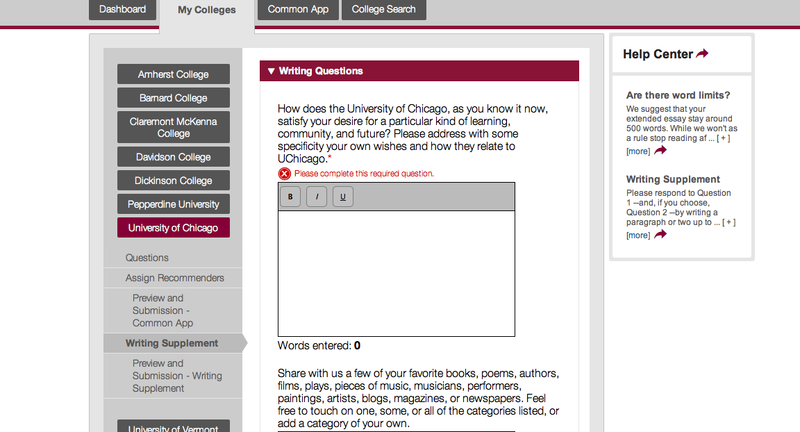 However, in some cases as in the University of Chicago, an additional note on the length is provided: "Please respond to Question 1 --and, if you choose, Question 2 --by writing a paragraph or two up to a full page, approximately 250 words, for each question. Then choose one of the six extended essay options, indicate your choice, and write a one- or two-page response." This offers important clarification beyond the 500-word-maximum text box provided. The Common App recently added several more staff to decrease response times, so you can expect quick assistance if you submit a help ticket. If you see a payment error on the dashboard with a zero dollar amount, please make sure that you answered the Citizenship question with the Profile section of the Common Application. PDF previews can now be generated. If you see an error page upon submission, log out of your account, and then log back in and it should display confirmation that the application was submitted. Follow up with colleges to make sure that all parts of you're application has been received as there are still outstanding issues. Check out the Common App's facebook page for daily updates on the status of widespread issues you may be facing. Students, high schools, and colleges using the Common App this season have been faced with numerous challenges from missing, hidden and late appearing questions (we've gotten tons of thanks from our members for covering them on this end) to submitting and pasting errors. Here's one more error we want you to have on your radar. Text box lengths for several schools have changed lengths since supplements first went live. We want you to be aware of this so that you can stay on top of any changes and not be stuck cutting down or expanding your essay at the last minute. Please be sure to check your College Essay Organizer accounts for any recent changes and practice pasting in text from a text editor well before the application due date so that you can ensure a good fit. Please email us at [email protected] if you have any specific questions about this. We're always here to help.